Food obviously…well he is a Labrador. So when we are busy and there are loads of other dogs, kids, food, and barbecue smells we tend to keep him in the house. BALLS. Jack is a ball bully. There are a million balls lying around the farm. Jack will find one and, if you are human, he will bring it to you drop it at your feet and expect you to throw it. If you don’t, he will drop it again as a hint then he might give your legs a little nudge until you obey. If you do throw the ball he will find it, return it and drop it again…and again…and again….until one of you collapses from exhaustion (it will be you.) He will be totally focused and would rather chase a ball than eat a sausage even. The main things to remember are Jack is a loveable and loving boy, he is only 2, he will do what you say if you mean it and if he is being a pest let us know. If you have a lonely child also let us know because Jack will play with him or her all day long. 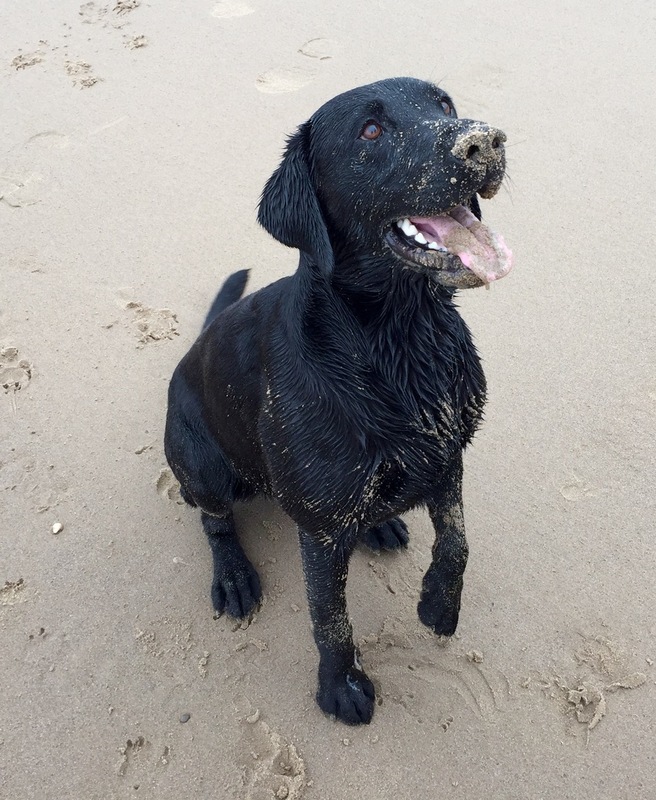 His absolute favourite thing is when you throw the ball into the sea…here he is poised and ready for action.